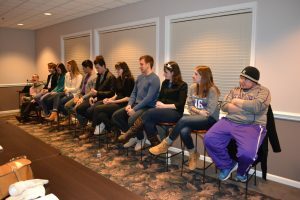 ALL BUT ONE of Naperville Christian Academy’s graduates returned in December to reunite at their old school and talk about their college experience. The Grads shared thoughtful insight with parents, teachers, and friends into what attending NCA did for their studies, their outlooks, and their lives. The Naperville Daily Herald covered the event and published a great story about the Class of 2013, our first two graduates who will graduate from college this year. Read all about it here. For those who couldn’t make it to hear our past graduates speak in December, we’ve posted the full video on NCA’s You Tube channel. We are working on preparing a highlight reel to post on Facebook. We are excited to announce the graduating class of 2016! 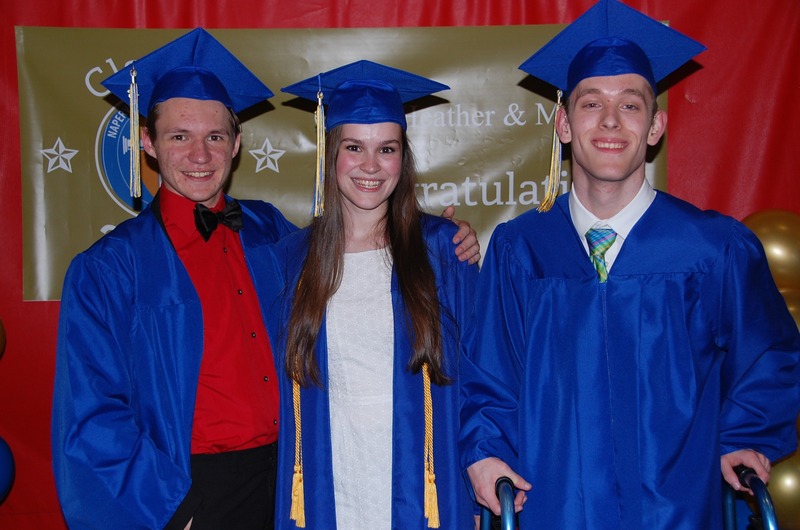 Michael Melter, Heather MacIntyre, and Cody Rood shared their memories, reflections of their time at NCA and plans for the future in a ceremony on Saturday May 21. Mr. Joshua Jacobs, Upper School Science teacher, gave the commencement address encouraging the graduates to find their identity in Christ as they head off to college. Michael will be attending Wheaton in the fall and studying Psychology, Heather will be attending Vanderbilt and studying Education and Cody will be attending Benedictine and studying Theology. 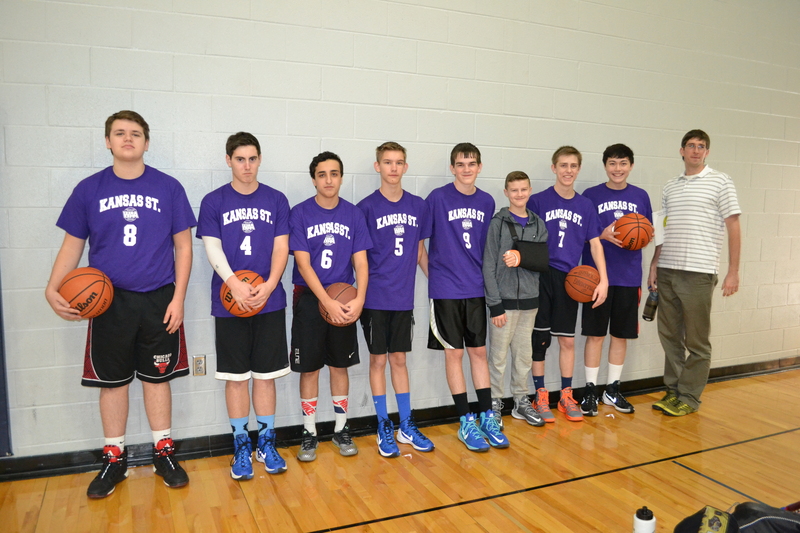 Congratulations to the NCA Knights who took first place in the Wheatland Athletic Association high school basketball league! 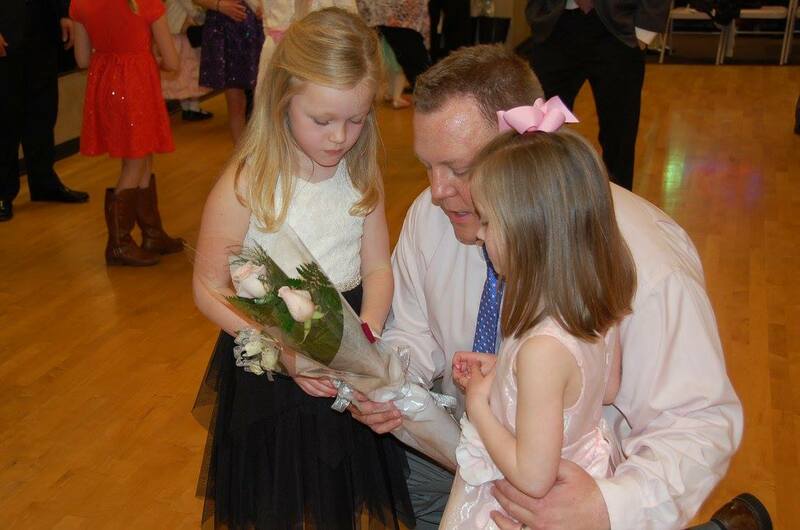 These young ladies enjoyed royal treatment from the #1 men in their lives! 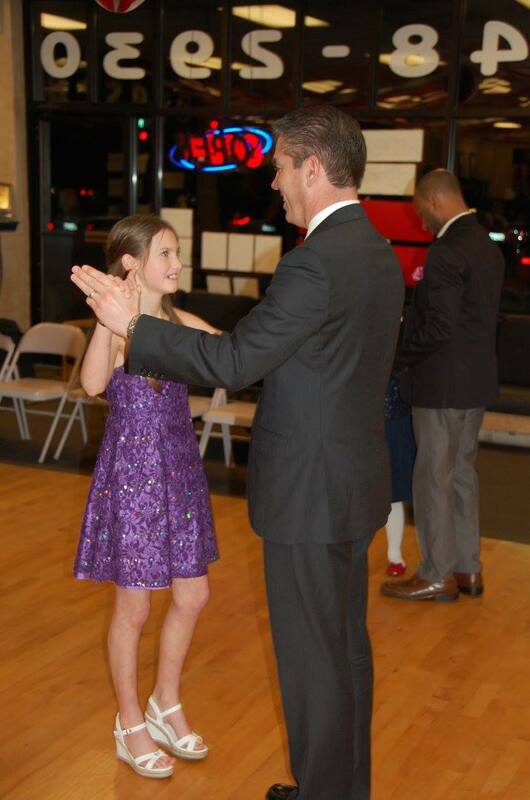 Dads and daughters received professional dance instruction at Sterba’s School of Dance. The Kindergarten class enjoyed a nature walk in the beautiful McDowell Forest Preserve. They observed the many colors of the leaves changing and brought back treasures that they found on the ground. Praise the Lord for the beauty of His creation! Heather MacIntyre, daughter of John and Kim MacIntyre and a junior at Naperville Christian Academy (NCA), earned a top composite score of 36 on a recent ACT test. Heather is the second NCA student to earn a perfect score in three years. This is made even more significant by the fact that Heather is one of only 12 students from NCA’s first four graduating classes. The school’s average composite ACT score to date is 30.8, well above local, state, and national averages.